This week’s photo challenge from the Daily Post is perspective. The idea is to show a close up of something and then pan out to reveal not all is as it seems. This is my one. 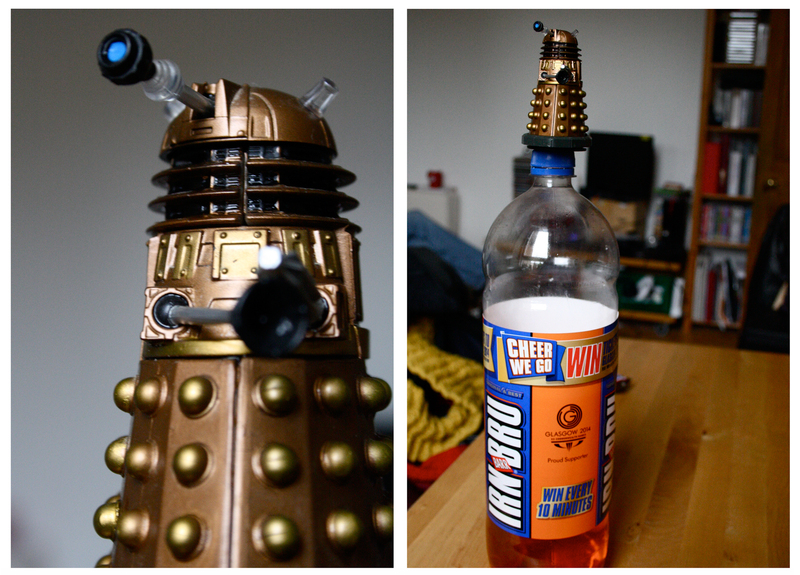 Because what dalek wouldn’t want to ride a bottle of Irn Bru. Broken Sunglasses | The Bohemian Rock Star's "Untitled Project"
Weekly Photo Challenge: Perspective (Daffodils) | What's (in) the picture?